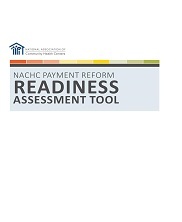 The updated Payment Reform Readiness Assessment Tool identifies key competency areas needed for successful health center engagement in payment reform models. It is not specific to one payer type or payment reform model. Rather, it is designed to capture core readiness areas that are needed for participation on in a variety of payment reform models. This version reflects modernization and incorporates social determinants of health, IT, and the establishment of a coordinated, patient-centered delivery system.